It’s one of those things that just doesn’t seem right, but still, you’re not 100% sure about it. You represent a party who’s alleged to be vicariously liable for, or jointly and severally liable with, a co-defendant who fails to answer and suffers a default. Is the wrongful conduct that would lead to your client’s vicarious or joint liability now established by that default judgment? Nope, says the Dallas Court of Appeals —at least if your client had no right to answer for the defaulting co-defendant or defend in its behalf. Venefits sued VIPCO and its officers and directors for, among other things, breach of contract. Before the alleged breach, VIPCO had failed to file a franchise tax report and therefore had forfeited its right to do business in Texas, as well as to sue or defend in a court of this State. Under §§ 171.252 and 171.255 of the Texas Tax Code, directors and officers are personally liable for a corporation’s debts incurred after its corporate privileges are forfeited and before those rights are revived. VIPCO failed to appear and answer, and Venefits secured a no-answer default against it. Then, relying on that default judgment against VIPCO and §§ 171.252 and 171.255 of the Tax Code, Venefits obtained summary judgment for that corporate “debt”against Christian—the former president of VIPCO and the only defendant who had filed an answer in the case. 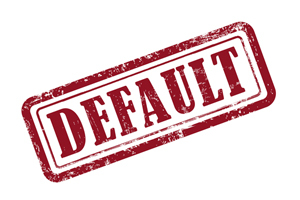 Christian appealed, arguing a no-answer default against one party does not bind another party or deny that party an opportunity to assert defenses. And the Dallas Court of Appeals agreed, citing its own prior opinions in Mayfield v. Hicks and Winnard v. J. Grogan, as well as the Corpus Christi court’s decision in Brazos Valley v. Robinson. In Mayfield, the Dallas Court had held that answering guarantors were wrongly saddled with the no-answer default of their principal in a lease dispute. And in Winnard and Brazos Valley, rejected arguments that answering employers were vicariously liable based on defaults entered against their non-answering employees. In each case, as in this one, the bases for holding the answering party vicariously liable—if the primary defendant were found to have committed the alleged wrong—were not in dispute. Nevertheless, the Court said, it is a “fundamentally unfair use of a default judgment” to bind an answering party, based solely on a non-answering party’s default, where the answering party is given no opportunity to defend the charges of wrongful conduct on the merits. The Dallas Court of Appeals therefore reversed the summary judgment against Christian and remanded for further proceedings.